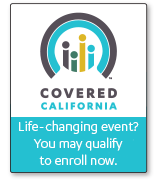 Family health insurance premiums in California went up 52 percent between 2003 and 2010 and now exceed 20 percent of income, according to a study released today. A state-by-state analysis by the Commonwealth Fund, a philanthropic research group, found the average annual family health premium in California in 2003 was $9,091, which was slightly lower than the national average of $9,249. By 2010, those premiums jumped to $13,819 in California, on par with the national average. Premiums for families nationwide rose an average of 50 percent during that same time period to $13,871. The report examines the period of time leading to the passage of the federal health overhaul law in March 2010. The authors say if insurance keeps rising at the current rate, the cumulative impact will result in a 72 percent increase in premiums and push the average family premium to almost $24,000 by 2020. “Costs vary by state, but no matter where you live – whether it’s Wyoming, Texas, West Virginia, California, New York – health insurance is expensive,” said Cathy Schoen, senior vice president of the Commonwealth Fund and lead author of the report. In a growing number of states, including California, premiums already equal or exceed 20 percent of the median income, the study found. In 2003, health premiums in California amounted to 14.9 percent of income but jumped to consume 21.5 percent in 2010. Twenty-three states shared that distinction last year, while just seven years earlier, West Virginia was the only state to top that 20 percent threshold. Premiums outpace income in virtually every state, but Schoen said they take a bigger bite out of overall income in states that have lower median incomes. In California, the study reported, the median family income in 2009-10 was $61,162, which is lower than the average national median income of $67,357 for families. The report also found that the annual amount employees pay toward their health insurance policies increased nationally an average of 68 percent for individuals and 63 percent for families between 2003 and 2010. In California, the amount increased by 121 percent for individuals and 68 percent for families. Anthony Wright, executive director of the consumer advocacy coalition Health Access California, said it’s hard to say why employer-backed individual policies jumped so much. Family coverage has long been hit with increases, so employers may have turned toward increasing the share individuals pay in recent years, he said. The liberal-leaning Commonwealth Fund notes that the federal health law has the potential and opportunity to lower premium growth. Wright, a backer of the federal law, said some provisions – such as subsidies provided to lower- and middle-income people to buy health insurance – will by definition curb the percentage of income people have to devote to health insurance. It’s unclear whether many of the elements will lower costs, he said.